Join the Anytime Fitness family! ANCHORAGE, Alaska - Jan. 30, 2018 - PRLog -- International fitness franchise Anytime Fitness is coming to Lake Otis and Abbott, offering affordable and convenient, 24/7 gym access to the local community. Currently under construction, the gym is slated to open in early March. For many people, joining a new gym can be an intimidating experience. 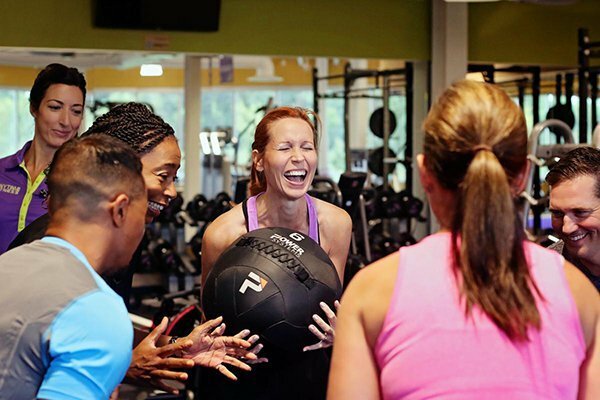 Anytime Fitness is small enough to provide personalized attention for all of their members without sacrificing the benefits of a full gym. The equipment offered includes circuit and resistance training machines, free weights and cardio equipment, including treadmills, elliptical machines and stationary bikes. Amenities include group classes, personal training, virtual group training and access to the Anytime Fitness App with over 1,100 workouts and the ability to track fitness and nutritional goals. They also offer private bathrooms, changing rooms, showers, and 24/7 access to tanning. Owner of the Lake Otis and Abbott location, Mike Northcutt is a long-time Alaskan and franchisee with a history of successful gym operations. When he saw the location listed online, he jumped on the opportunity. "I couldn't imagine a better location," says Mike, "At Anytime Fitness, we strive to provide the most convenient gym experience possible. Formerly, the local community didn't have access to a neighborhood gym. We are pleased to be the fitness family moving in next door." In celebration of its grand opening at Lake Otis and Abbott, Anytime Fitness is offering exciting perks to early registrants. Follow them on Facebook to be the first to know about their latest offerings! Current members who refer a family or friends to any, Anytime Fitness location receive a month free. Learn more about membership with Anytime Fitness at Lake Otis and Abbott. "We are bringing something amazing that we believe they are going to love," says Mary Northcutt, daughter to Mike and Business Operations Manager. Open 24/7, Anytime Fitness prides itself on providing its members with convenient and affordable fitness options in friendly, well-maintained facilities that feature top-quality exercise equipment. With over 3,800 locations worldwide, Anytime Fitness is accessible to all of its members, no matter where they go! Learn more (https://www.anytimefitness.com/gyms/4023/anchorage-ak-99507/).